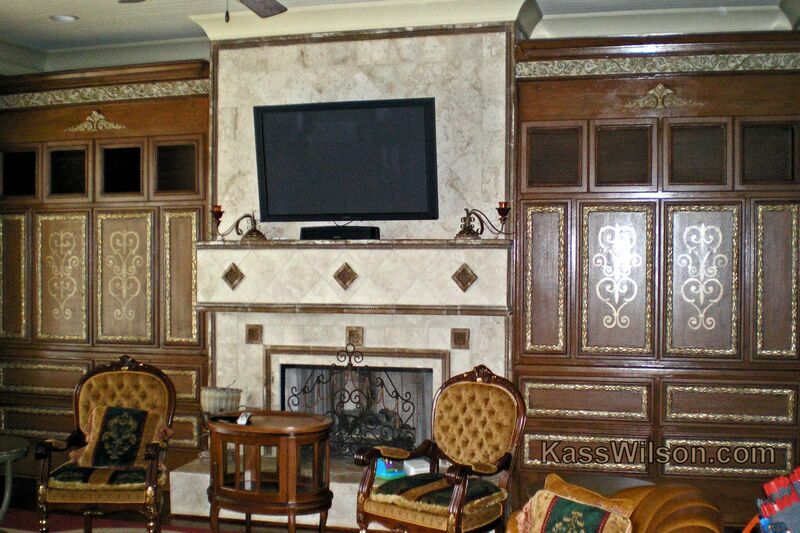 The feature wall in the remodel of this great room represented the client’s love of very ornate details. 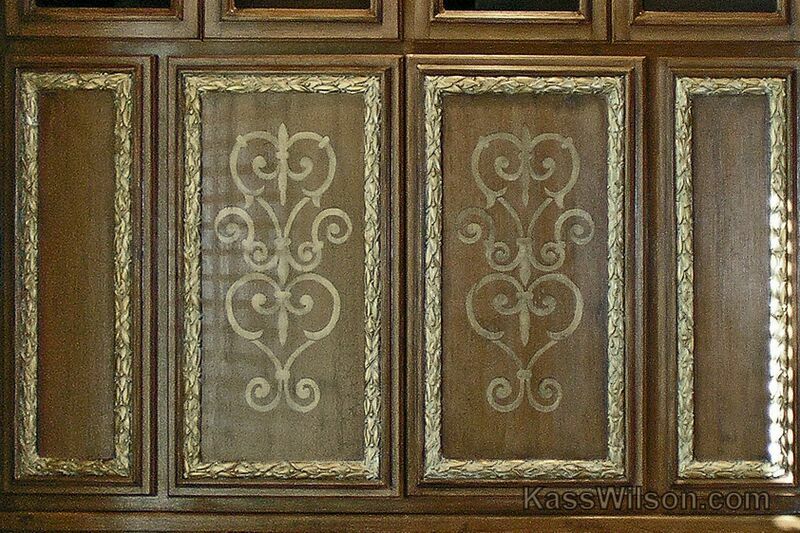 The detailed carving on the bookcases was a perfect opportunity to add a faux finish that would be consistent with this style. 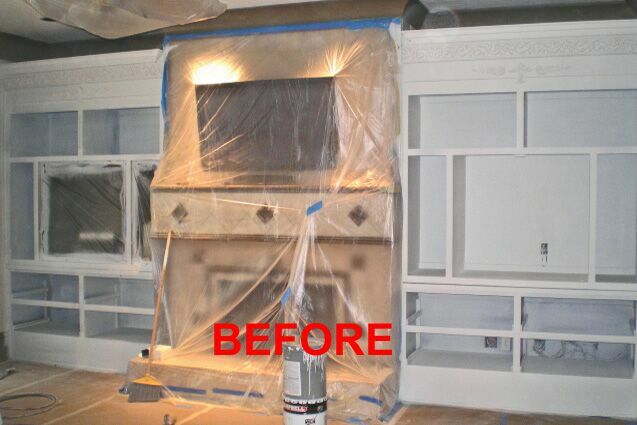 Although the cabinetry began as white, a change to rich colors was in order. 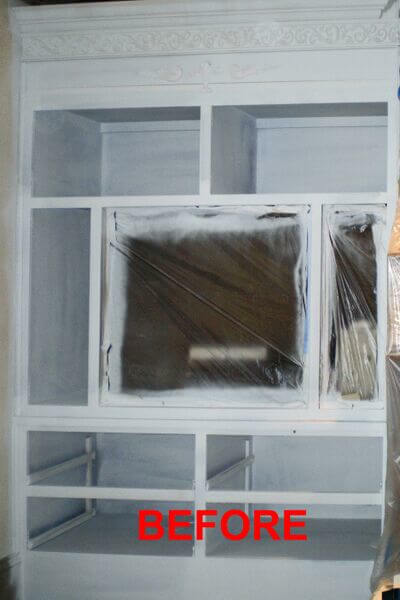 Now, the bodies of the cabinets appear to be wood. 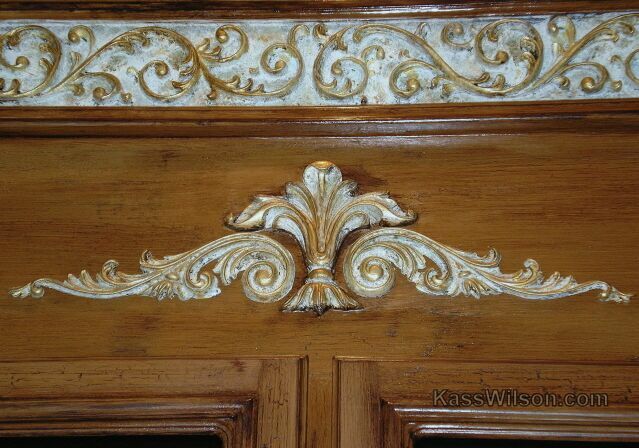 Our attention was focused on embellishing the raised carvings with an antiquing technique to represent aged gilded gold and adding a stencil design to the center doors. 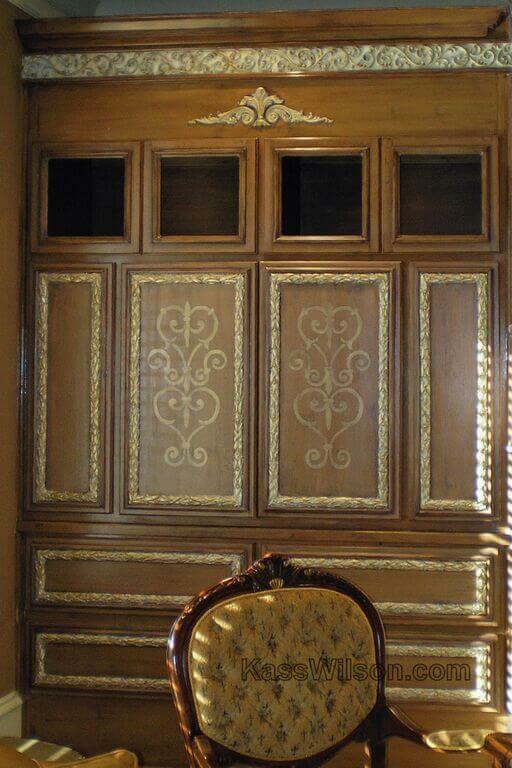 It is the gold details that give this great room the impression of the Midas Touch.